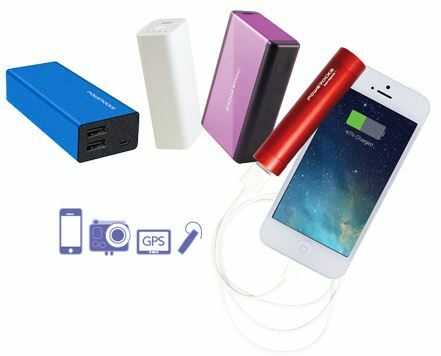 The Powerocks Portable Chargepacks are small enough to easily fit in a purse, briefcase, backpack…even in the palm of your hand. It is perfect for work, vacation and everyday on-the-go. They are great for busy parents, students, and business people. Any person that uses their phone regularly for productivity or entertainment and is away from power sources for extended periods. Get charged up with Powerocks!